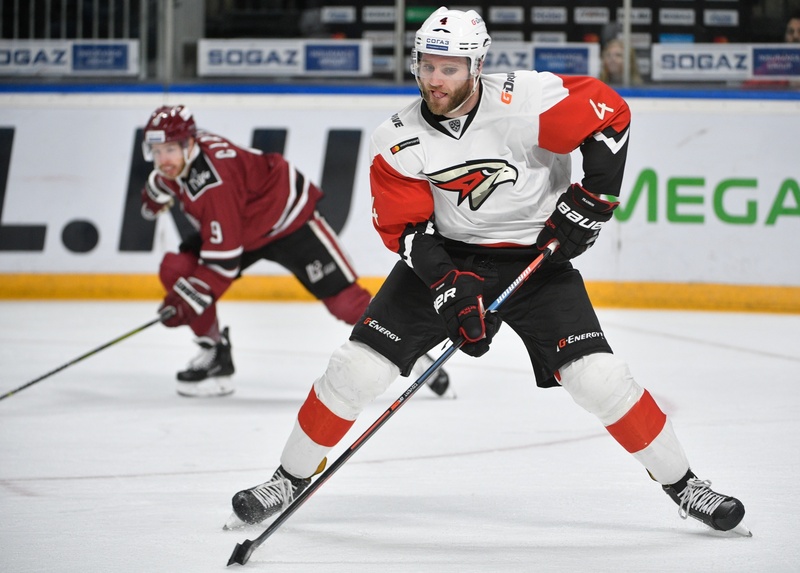 Canadian defenseman Cody Franson had a quick chat with KHL.ru about Avangard’s season, his adjustment to the KHL and being a student in Europe’s top hockey league. Avangard sits in second place in the Eastern conference, with 24 wins from 37 regular season games. Franson, 31, has 13 (5+8) points from 31 contests, with a +5 rating. - Cody, how did you feel about your second game of the season against CSKA (2-3)? Was it similar to the first one in Balashikha (2-4)? - First of all, they are a good team. They’re not going to beat themselves. We played a hard game tonight, we didn’t make a lot of mistakes, but their power play was really good. It was playoff hockey. Even though we lost, we could take many positives from this game. It was the same game as first one. - At the beginning of the season your team was on the ‘up’, but now it feels like there are some ‘ups-and-downs’. - We are finding our way right now, trying to improve our game, to understand what helps or not. The way we played against CSKA is a good sign, we made progress. Looking to the playoffs, that is how we should play. - As the season goes on, does it get harder to play because of tiredness? - It is hard to play physical. When we play more against physical teams, we do not shy away. Unfortunately, we lost some of those games, but I’m sure we are capable of winning them in future. 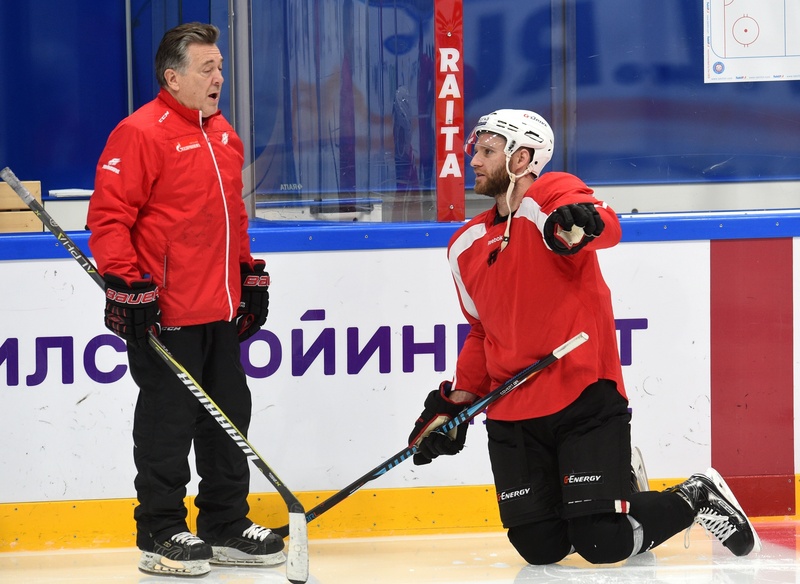 - Avangard looks like a Canadian-style team this year. - Obviously, because Bob Hartley coached in North America for a long time. He has a system, we are doing the same. Our mentality is a bit different than most teams in the league. It helps us, we preach good habits, we are still learning but moving in the right direction. - Does Canadian hockey work on the bigger surface? - Yes and no. You need to find a balance, adjust to your opponent. You need to understand how to get an advantage in a game where one team has more possession of the puck or figure out how to take it back. It depends on all your team, how much skill you have, how you are building your game. For us, we are more single-minded, we try to limit our mistakes. - Was it easy for you to adjust? - I did some homework. When I waited for my visa I just got to watch a Dinamo Riga game. I studied how they play power play, what system do they have, how they play in defense, pressure the puck. I was kind of a student and I learned. Here there is extra room, more space: you need to know who you are up against, who is one-on-one. There’s a lot of stuff to figure out from the start. - Do you feel that teams here have a lot of own styles of play? - Definitely! CSKA played similar to us, they turned the puck back, but it is rare. They have depth in their roster, but their mentality is to keep puck moving forward and make offensive plays. Some teams prefer to sit back, to sit back, and wait for an opportunity up front. You need to adjust systematically to the opponents. - Avangard shoots more than any team in the league. Maybe you need to spend more time setting up your shots? - An easy shot could make a rebound; it’s not so easy for the defense. At the same time, if we can find a balance between keeping it simple and making bigger plays, we can do really well. - What do you like most in Russia so far? - Good hockey! The skill level in the KHL is so high, it’s a lot of fun. Our team treats us well, like an NHL organization. I’m really enjoying it; we visited couple of great cities and it’s a good life experience. It helps that my family is here with me, and we’re looking forward to seeing how people celebrate New Year in Russia.